My client had recently renovated her kitchen, laundry and bathroom and wanted to update the paint colours in the rest of the house. She wanted a fresh, more contemporary feel that wouldn't date quickly. 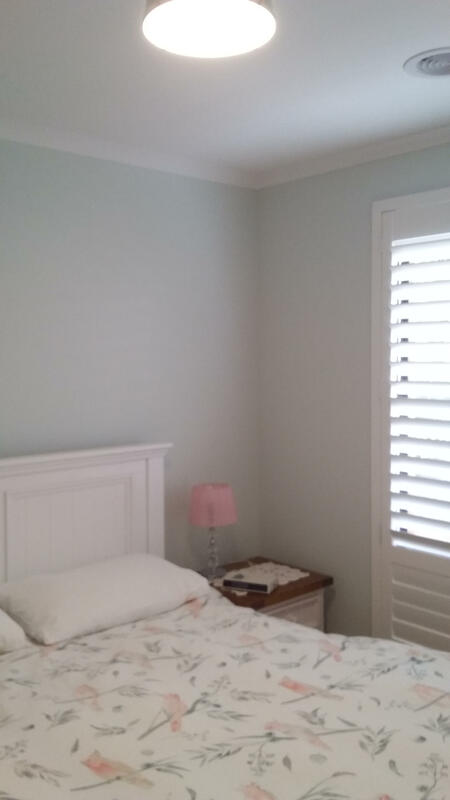 The master bedroom walls were painted in a mid toned pink and she wanted to update the colour to a light green to lighten up the room and give it a fresh feel. We selected a light mint green to complement the accessories in the room. The wardrobe and trims were painted in white to keep the overall feeling light and airy and to accentuate the soft green walls. 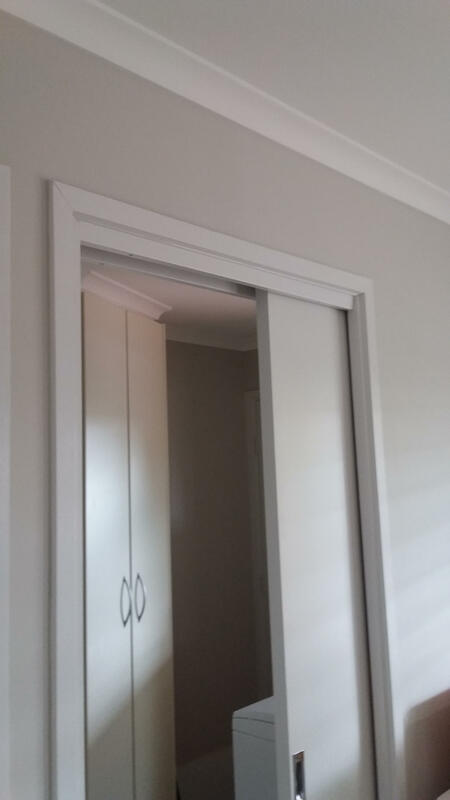 The bedroom walls are painted in Dulux Gracilis Quarter, the wardrobe and trims are painted in Dulux Casper White and the ceiling in Dulux Lexicon Quarter. As her kitchen was in beige tones the new paint colour for the kitchen, living room and hallway was selected to complement this. We chose a warm greige to give the rooms a warm, welcoming and light feeling. The trims and doors were painted in a white with a slight grey undertone. 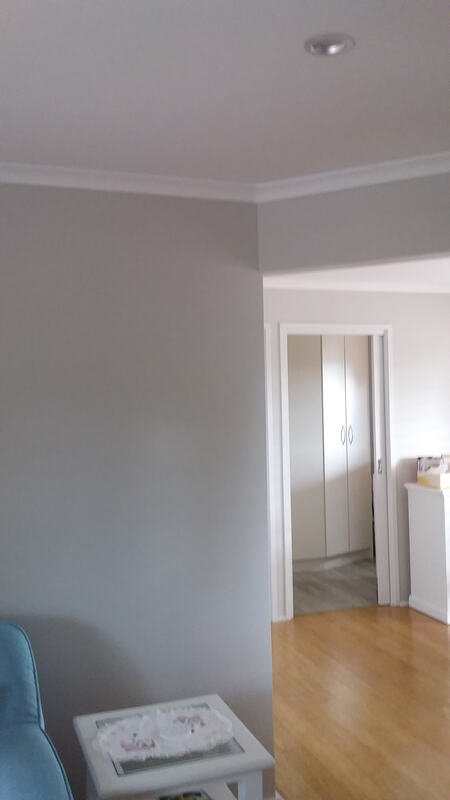 The kitchen, lounge room and hallway walls are painted in Dulux Natural Wool, the trims are painted in Dulux Casper White and the ceilings are in Dulux Lexicon Quarter. She loves the results and the new look of her home.